Very important to have a severely strong grip whether your a bar-athlete,strongman,powerlifter,sports ectect. I have many routines, i do holds with an 800lb.stone frame,farmer walks with 300-375lbs.per hand. 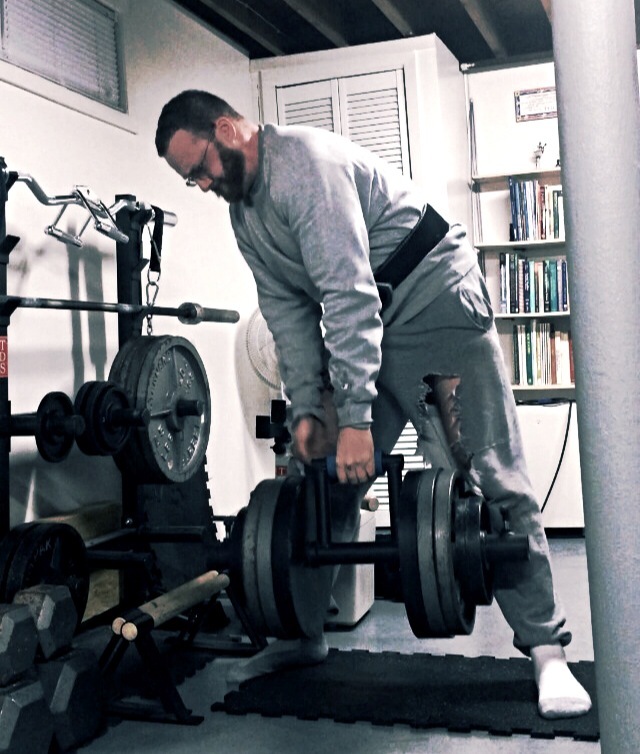 Shown here in the pic i did a grip pyramid with a fatgrip Ending with 265lbs.as my top set. You can use this guidline to build a gorilla grip & add or deduct weight according to your strength! Trainharddd!!! With fatgrips All aim for 10seconds to preserve strength for the heavy sets,the ones that build you.Once your top heavy set is reached, all sets after are till failure! Set20 100lbs.Dumbbells 1 per hand no fatgrips till failure, no rest pullup dead hang till failure.